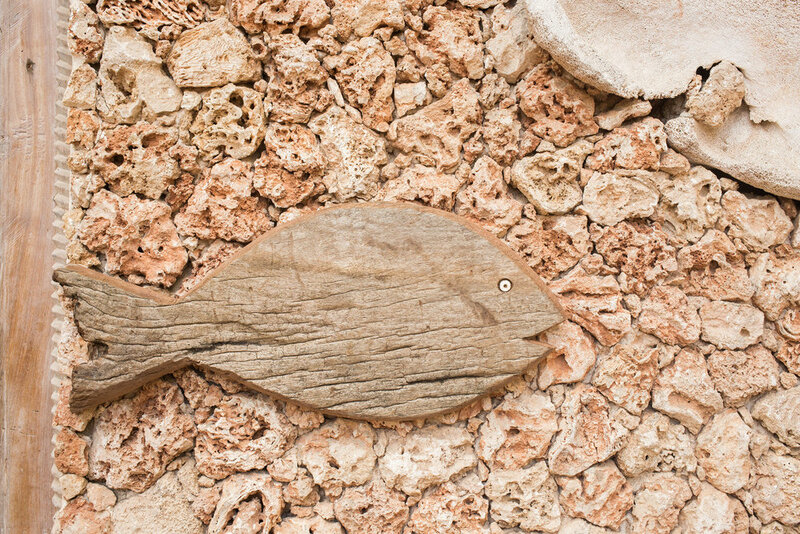 Made from driftwood and old boats, these fishes are unique decorative pieces. Every morning, before the sunrays become strong enough to heat the sand, Lamu artist Isaiah strolls the beach in search of wood that has been washed ashore. Shaped by the waves and the wind, every piece tells its own story. In the narrow streets of Lamu, where life moves at a slow pace, Isaiah transforms the raw wood into real treasures. Inspiration is found everywhere around him. The islanders are mostly fishermen and sailors, depending on the Ocean for their daily bread. Using nothing but hand tools and his creativity, he carefully shapes the logs into decorative fishes. Pieces of ostrich egg, found in his homeland in Northern Kenya, are used to make the eyes. As simple as it can be.